I've been having an allergic reaction to my liquid eyeliner lately, so for a couple days I had to go sans my usual makeup in order to give my eyes a recovery period. All I ever wear is eyeliner, so going without my only means of beauty product was a bit difficult at first. However, it's also made me more confident in my natural self. Plus, not having to remove makeup gunk at the end of the night is pretty refreshing! Haha, anyway, if I look a little more tired than usual, that's why. In this outfit, I'm featuring a couple new buys from Forever 21, and I love them! The gingham dress and cobalt blue leather jacket are some awesome pieces I picked up while browsing online, and I'm glad I caved. Normally I avoid online shopping like the plague (for good reason, I've now got three more items on their way to my place...), but what with Black Friday and Cyber Monday going on, I caught the shopaholic spirit. However, I did get something as a gift, and that's this hand jewelry from Born Pretty. Isn't it so cool? I had a similar hand piece from before, but it's broken since this post sadly. So this is a fun update to that old favorite, and I love the geometric triangle design. I can hardly believe that in just two weeks, this semester is over! It feels like I blinked and I'm suddenly reaching the end of this year. I love the blue jacket. And you look darling. Get some eye drops. They work for me. Oh man, I think I love everything about this outfit: the jumper, the blue, the shoes, the skirt....I could go on and on! The touches of blue are fantastic, but what really catches my eye is the print on that skirt! Love it! well, this is a really cool look, Linda! I love those bold shades of blue and I adore the doggie sweater (it's so awww!!). nice job with the layering, too! and I remember many many years ago some mascaras caused eye problems to me so I know how you probably felt. love all this blue! one of my fav outfits of you for sure! I love the combo of cobalt and black and white! I also love your tee! We love cobalt blue all year round. Your look is gorgeous, and we're obsessed witht that jacket! Omg those boots, that coat, they are too perfect! 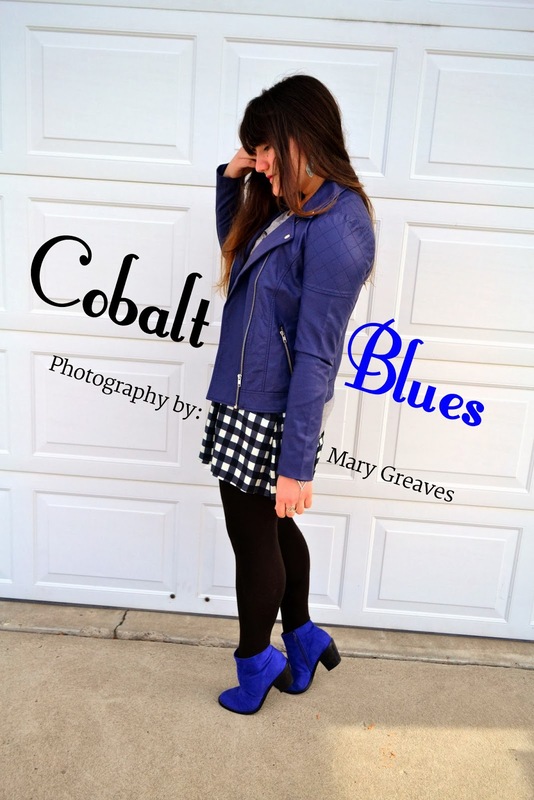 You look rockin in cobalt! Hey! I wore my cobalt yesterday. :) Great minds, eh? I think you look AMAZING in blue btw, and also, without makeup. Gorgeous lady. I am feeling the blues, darling! I love that gingham dress and leather jacket! looks awesome on you! sorry to hear about liquid eyeliner. it happened to me and i had to stop using it (that brand). cool look! awesome jacket and skirt! I didn't see the difference, without any make up on you look even more pretty, dear linda. No flattery, just believe me;) I also like that outfit, probably it's one of my most favourite outfits of you:) You look amazingly great in blue! Cobalt blue is my fav color, so I am all for your outfit ;-) Nah seriously I love the outfit, stylish, chic trendy. Would you like to follow each other on GFC? Please let me know on my blog so I can follow back. Thank you. Yeah, this semester has really flown by! It's crazy, and I can't believe I've only got a week left (of finals... dun dun dunuunnun!). Best of luck to you on your last two weeks, mist Linda! Oooh, all the blue here is really exciting. I love those boots of yours. They're so funky! And the print on your dress is absolutely amazing! I actually tried that same dress on at Forever 21 but it was way too short for me, so I'm a little jealous that you've got it ;) bahah, you wear it better anyway! I found you blog now and I'm in love with you sense of style! so let me know on my blog if it's OK.
Great outfit. The punch of cobolt blue is lovely! 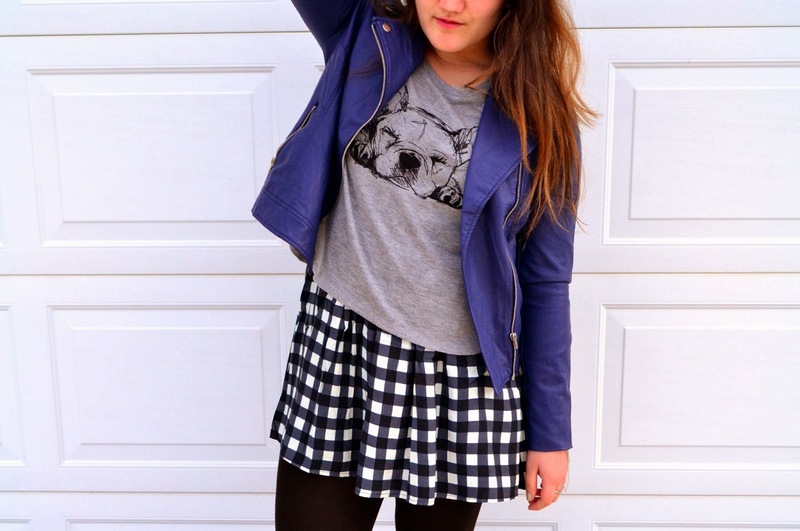 combination of your blue jacket and skirt is great.Your jacket is beyond gorgeous!! Oh no about the liner allergy, but you look if not more pretty without makeup Linda :) Love the gingham dress and how non predictable your styling of it is, the cobalt blue is an amazing striking shade, love it! Just read your comment now...I have to say I have a Daniel crush and I am still suspicious of Aiden even in Season 2. Such a nice skirt! Love it! Aw, Linda! Sorry to hear about your eyeliner mishap. You don't look any more tired at all--I didn't even notice! 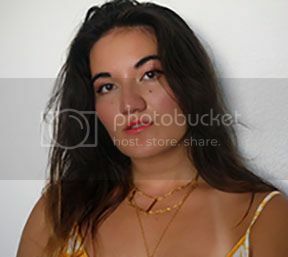 What lovely pieces you scored online. I love your signature touch of monochrome, like in your mint outfit (I'm such a sucker for mint--I even saw those tights at Target haha!) I usually avoid online shopping as well, but hey, a girl's gotta do what a girl's gotta do. That sweater is so precious as well. I know, tell me about it! This year's flown by. I can't believe I just noticed, but I love your subtle ombre hair. Keep rocking it girl! this becomes my fave outfit from yours this season!! LOVE the combination of gingham and that sweater! I really the touches of cobalt and I can really see myself wearing something like this!!! Chic!! I love all of the blue accents in this outfit!